Get that stylish look by wearing this magenta colour adorable multiple layer classy necklace set with your matching costume. 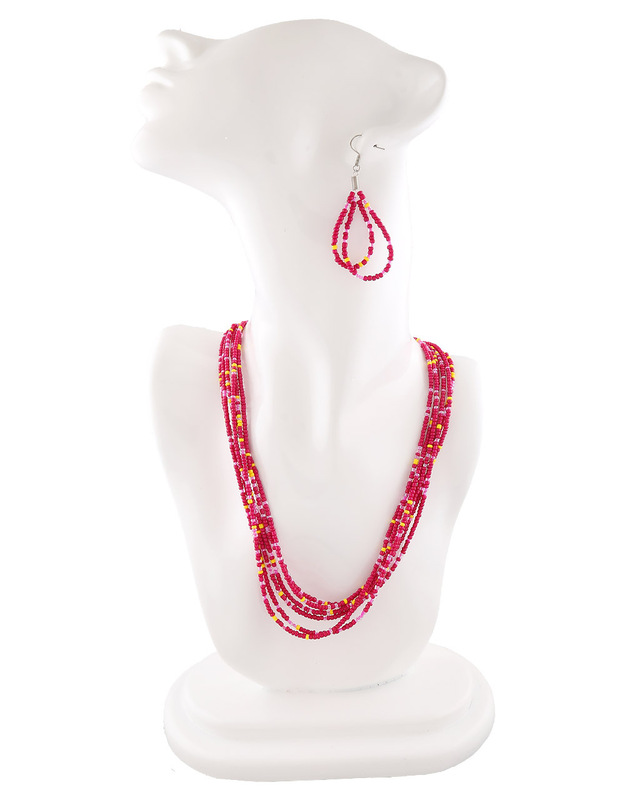 This necklace set is good in quality and beads used to design this necklace are cheed beads. Excellent quality and high durability are the hallmarks of this necklace. So buy now!